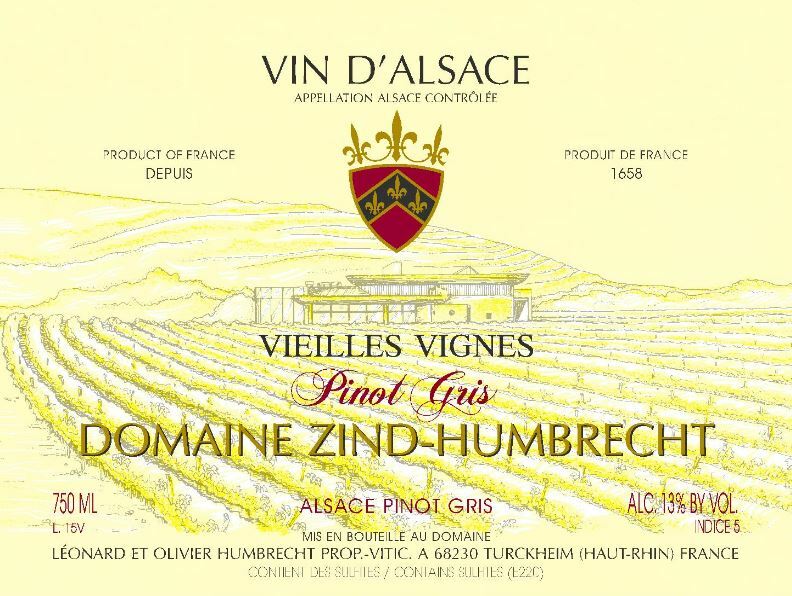 The Vieilles Vignes selection originates from two small parcels planted in the late 40’s by my grand father Emile Zind. One is located in the Herrenweg vineyard, the other one amongst the old vines we use to produce our Gewurztraminer Wintzenheim. They both share the same soil and climate characteristic, similar to the Herrenweg vineyard (gravely soil). These old vines were planted from very good quality massal selections. They have the rare character of carrying only one small cluster per shoot. The crop is always minuscule (and that is why modern selection emphasized mostly on larger/more fertile selections) and concentrated. Very often these grapes are actually harvested very healthy. Older vines are in fact more botrytis resistant (deeper root system, less vigour), but in 2007, it was the opposite! There was a huge noble rot development on these grapes and the result is a Vendange Tardive style wine. 12/2008: despite the high indice (5), most people would question our decision not to label this wine Vendange Tardive! Right from the beginning, this wine showed great balance, fine acidity and delicate aromatic expression (honey, bee wax…). In fact, I think this wine is so delicious today that we perhaps feared that it would be stored away if labelled VT and not enjoyed today!